Hello there! Guess what we added to the calendar since we are actually doing more work around the Bee Ranch now? 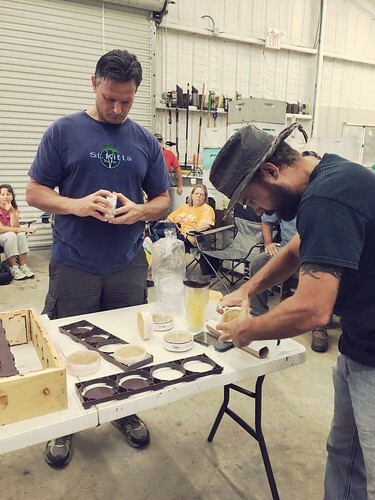 A new class date for Introduction to Beekeeping. 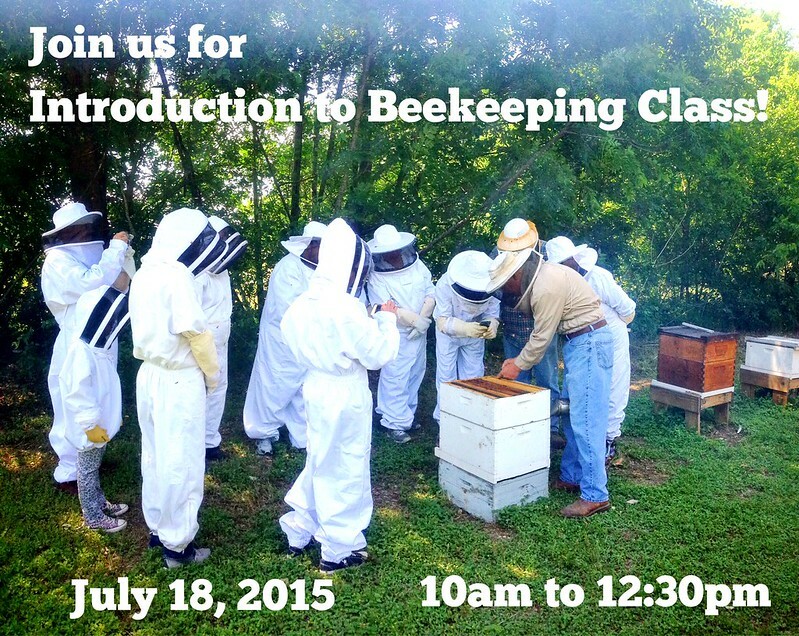 Our next class will be Saturday, July 18 in case you are interested. Here’s link for more information as well as to register. We have some seats still available and hope you can join us! Click here for class info. 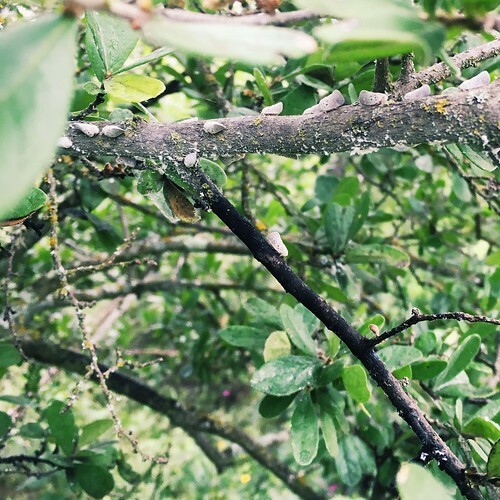 In other wonderful news – pollen, pollen, and more pollen. WOW! 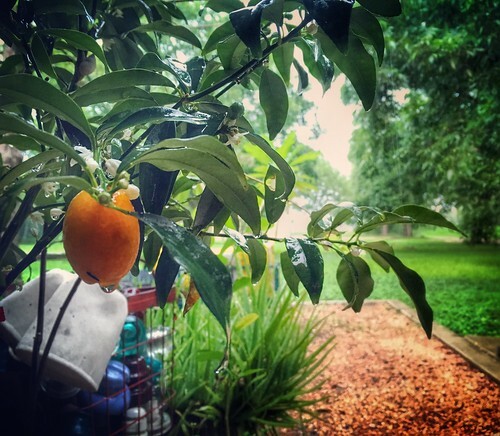 We are loving how the pollen looks AND tastes this year. Subtly sweet and soft to the touch. 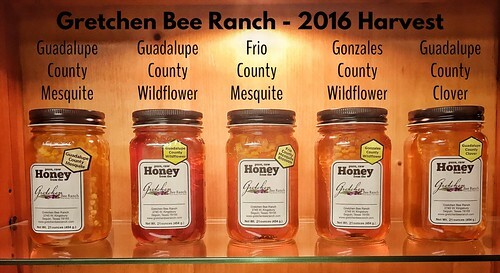 Due to the hot weather, we aren’t shipping it out but if you would like some, do stop by the Bee Ranch one Wednesday or Saturday (9-12pm). 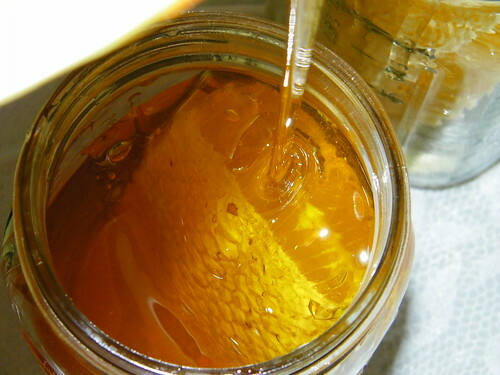 And in case you would prefer honey – it’s coming! 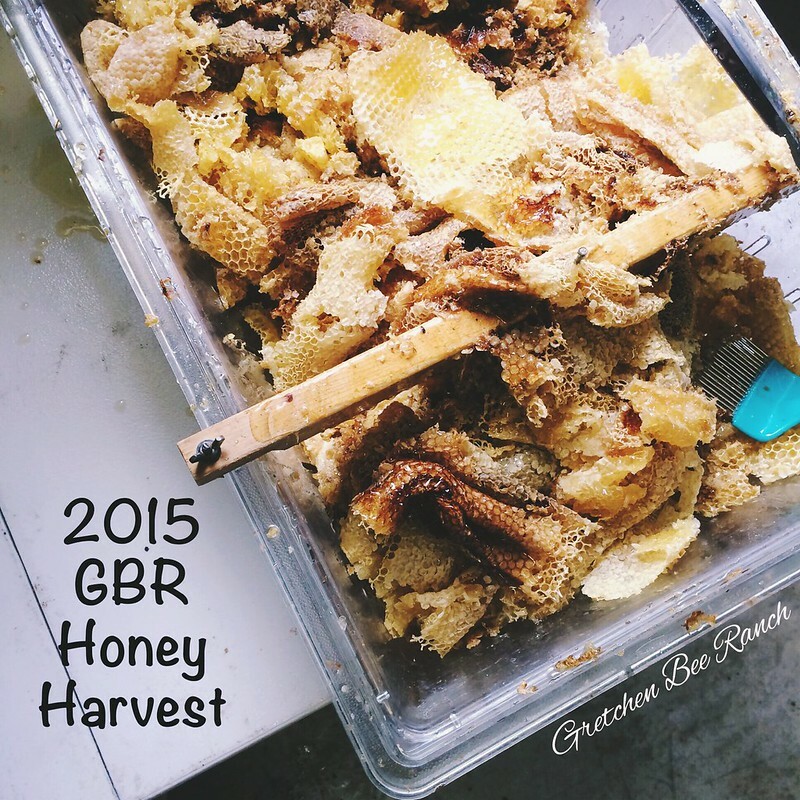 We have started a slow harvest due to rainy spells and high levels of moisture in the honey. What we have harvested, we like. A lot. 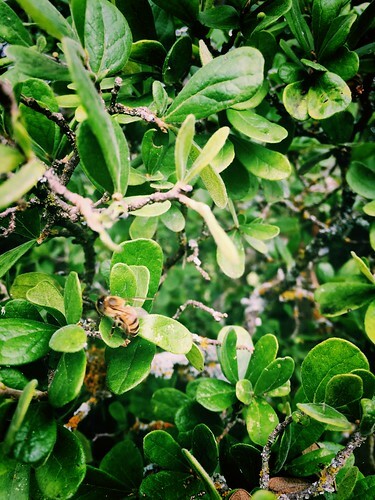 And we can’t wait to host a few honey tasting events to share it with you all! Okay, so you are probably wondering why everyone’s looking at their finger, right? 🙂 One of the joys of keeping our hives gentle with out-of-state queens is that we can have class with little worry about people getting the backyard bees worked up too much. 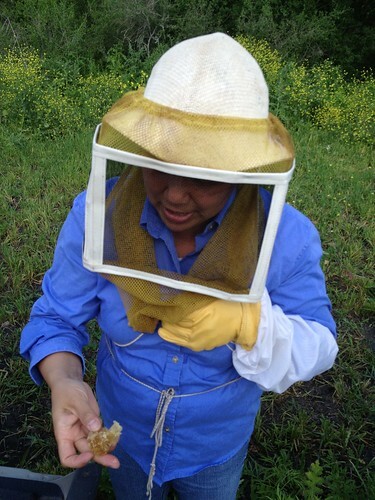 Sometimes we have to urge our students to keep their veils and gloves on as they just get real comfortable around the bees. It probably doesn’t help that Mark and I are minimally veiled. Once in a while a bee may get irritated but I usually just step away a bit until she leaves me alone. If not, I just add a veil and gloves. 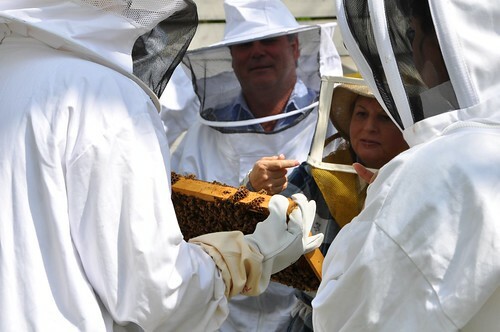 Back to the picture – now that the bees are making honey, the students got to taste some honey straight from the frame. That was unexpected and very fun I think. I know I enjoyed it when Mark let me do that the first time at Gonzales bee yard. Yum. 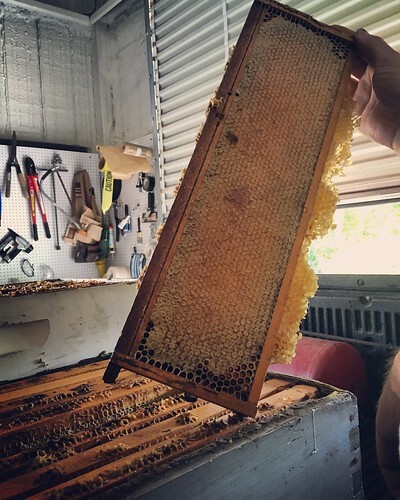 Nothing like tasting fresh honey straight from the frame. 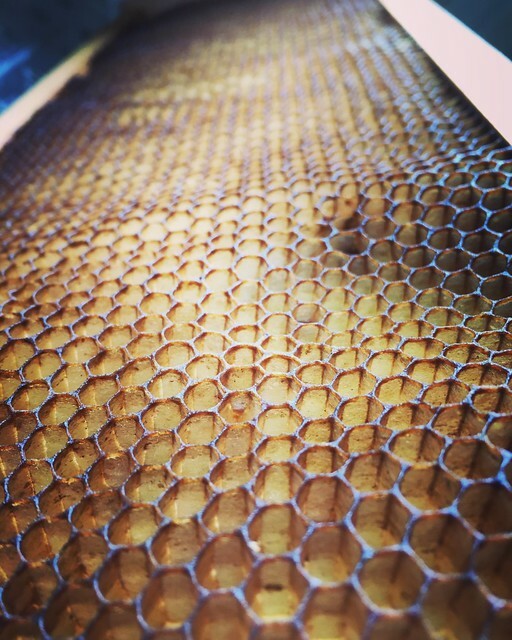 If you’re really lucky, your beekeeper gives you a bit of honeycomb that the bees built off the frame. This is me trying to save the honeycomb that was falling off the hive tool out at Rattlesnake bee yard. I saved it but I managed to get honey all on my hand. I must be the messiest bee yard visitor ever. Mark and David just broke off some honeycomb and popped it in their mouths no problem. I always end up with sticky fingers and then I discover I also got honey in my hair or on my shirt. 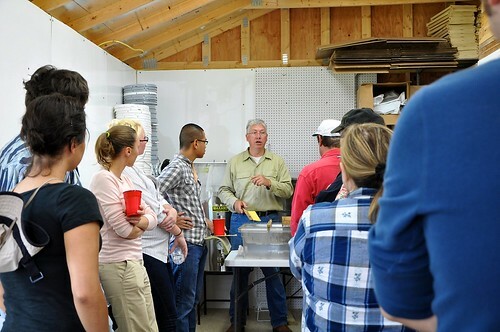 Back to class – here is a shot of our session inside the honey house, where we discuss the extraction process and also get to do a honey tasting. We don’t normally get many photos of this portion of class because it’s hard for me to move around when we have more than five students. Plus I have that height challenge. But we managed and we had a great time. As always, people had great questions and discussion was awesome. 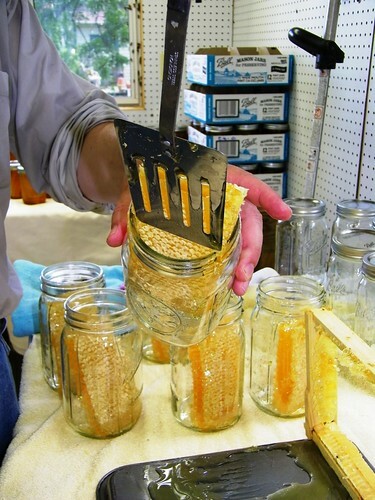 The best part is getting into the hive for some hands-on time. I really liked how comfortable everyone was during this portion of class. Though we didn’t get to see the queen during class, we did get to see some great frames of pollen in addition to the honey. No mites seen, which is good. No beetles either. The students got to handle a super so they can feel the average weight of a honey-laden box. I enjoy the classes because I never know when Mark is going to throw in something new that he hadn’t done before in class. Love it. 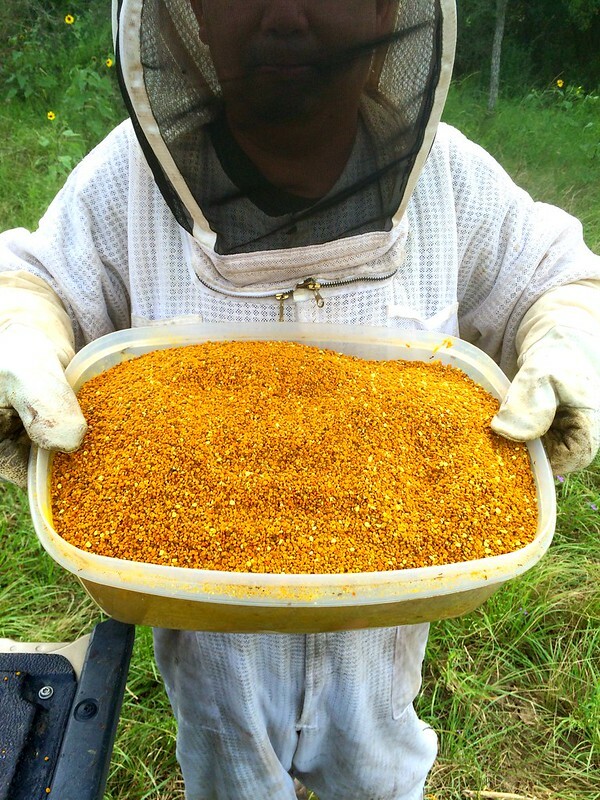 We’re busy prepping all our honey for sale and it’s been hard work but a lot of fun, that’s for sure. Thought you might enjoy a couple of shots of the “in the making” session this past weekend with the comb. 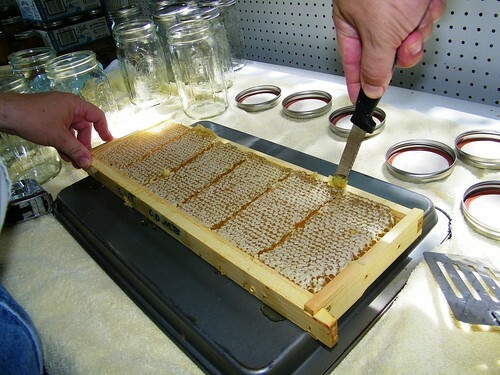 It was a really cool process to watch as Mark measured, cut and bottled the comb and then poured the honey in the jars. Can’t wait to give it a try.